Join us for our May 2018 WATERtalk with Stephanie Crowder. Rev. Dr. Stephanie Buckhanon Crowder is an author and Bible and pop culture educator. She serves as Associate Professor of Theological Field Education and New Testament and Director of the ACTS DMin in Preaching Program at Chicago Theological Seminary. Dr. Crowder earned a BS in Speech Pathology/Audiology from Howard University and a Master of Divinity degree from United Theological Seminary where she earned its Anderson Theology Award. She received the Master of Arts and Doctor of Philosophy degrees in New Testament from Vanderbilt University. She was a Fund for Theological Education Dissertation Fellow, a Wabash Center for Teaching Fellow, and a Louisville Institute Summer Grant recipient. 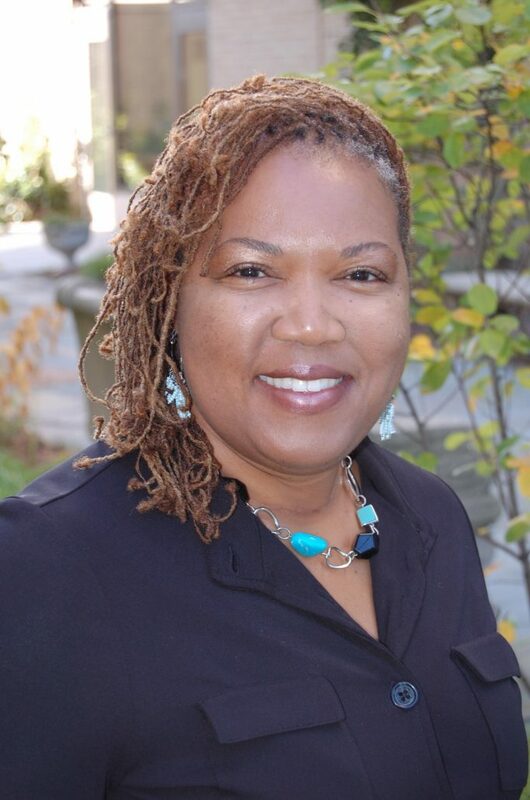 Her many publications include essays in True to Our Native Land: An African American New Testament Commentary; Journal of Feminist Studies in Religion; Thinking Theologically, and Disciples Women magazine. Dr. Crowder blogs for The Huffington Post and Inside Higher Education. She served on the Editorial Boards of ON Scripture and Feasting on the Gospels. She recently published an article on New Testament themes in R and B music. Her latest book is When Momma Speaks: The Bible and Motherhood from a Womanist Perspective which will be our focus.